Bronchoprovocation is a pulmonary function test frequently performed in patients as a diagnostic or therapy management tool. It assesses the subject’s level of airway responsiveness following increasing aerosol challenges of methacholine, a direct bronchoconstrictive agent. Recently, the European Respiratory Society (ERS), in collaboration with the American Thoracic Society (ATS), updated their guidelines relative to this test. The most significant modification made was the recommendation that the test outcome be expressed in terms of the dose delivered rather than as the concentration of the solution loaded into the nebulizer1. The ERS guidelines state that this updated end-point reporting allows for comparable results from different devices or protocols, since the dose concept can account for delivery variations2. Methacholine challenge tests are also performed at the pre-clinical level. There, the notion of delivered dose was introduced earlier3 and researchers who have been using the flexiVent FX system have known for some time the effectiveness of this now recommended clinical procedure or its impact on study comparison. 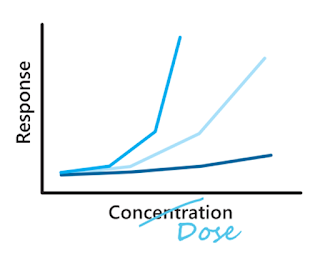 Indeed, with the push of a button, the operating flexiVent software can automatically generate a delivered dose estimate for each subject and aerosol challenge. The dose calculation is based on specific nebulizer, subject, and system characteristics and imposes no restrictions on the experimental protocol nor does it require additional pieces of equipment. 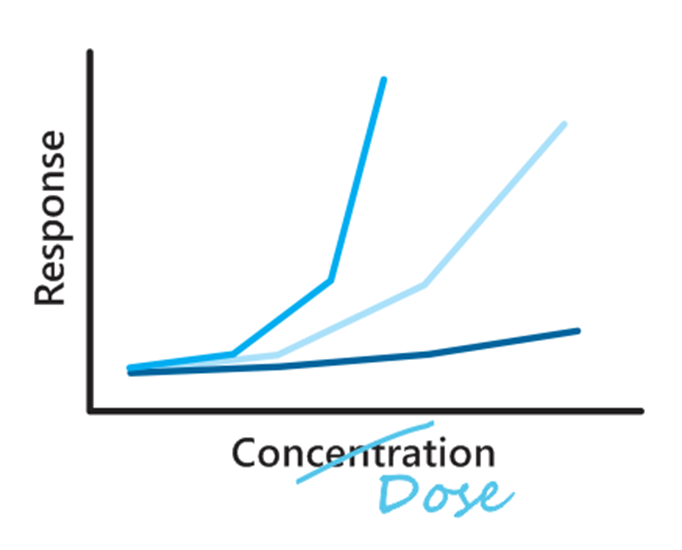 The delivered dose estimate thus offers an important standardization to the preclinical assessment of airway responsiveness that now coincides with the most recent clinical recommendations. Contact us for more information on the delivered dose concept. Our application specialists will be happy to answer your questions or assist you to improve your study. 1Coates, Allan L., et al. 2017. ERS technical standard on bronchial challenge testing: general considerations and performance of methacholine challenge tests. European Respiratory Journal 49 (5): 1601526. 2Coates, Allan L., et al. 2017. The PD 20 but not the PC 20 in a methacholine challenge test is device independent. Annals of Allergy, Asthma & Immunology 118 (4): 508-509. 3Robichaud, Annette, Liah Fereydoonzad, and Thomas F. Schuessler. 2015. Delivered dose estimate to standardize airway hyperresponsiveness assessment in mice. American Journal of Physiology-Lung Cellular and Molecular Physiology 308 (8): L837-L846.